The gameplay is tight, the regions are nice, and the presentation is grizzly, which is awesome. The game feels more like D2 than D3 - even know. 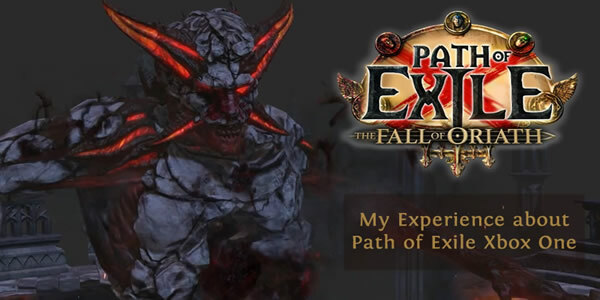 According to developer Grinding Gear, about one year of work was put into the project to bring Path of Exile to Xbox One. The action-role-play-game Path of Exile compare many gamers with Diablo. An important difference between the two games is the price, because PoE is free to play - Diablo costs money. GGG is not a triple-a developer and the game still suffers from some quality control issues. Path of exile is not really a system intensive game. Players are willing to pick Path of Exile, because the developers knew exactly what direction they wanted to go with the game - it's immersive, has a game world that is fun to explore, and isn't distinctly unoriginal or poorly written in any way. Anyway, I played Path of Exile and actually really enjoyed that game too.